You can earn EXTRA CASH from your website or blog when you become an become our affiliate promoting Ruth’s Brownie Kitchen. As an Affiliate you will earn hefty commissions of 10% per sale on sales made through your website… and 3% commissions on second tier sales. Ruth’s Brownie Kitchen is an online store specializing in hand-crafted, made-to-order Brownies, Cookies and Biscotti made exclusively with ultra-premium Valrhona chocolates and cocoa. Hefty commissions - 10% per sale. Ruth’s Brownie Kitchen's unique gourmet collections are perfect for any occasion, hence we deliver large orders that you can benefit from as our Affiliate. Earn 3% on second tier. You can earn commissions from the sales generated by your referred Affiliate. 180 days of cookie tracking period. You earn commissions on sales generated long after the initial click-through. 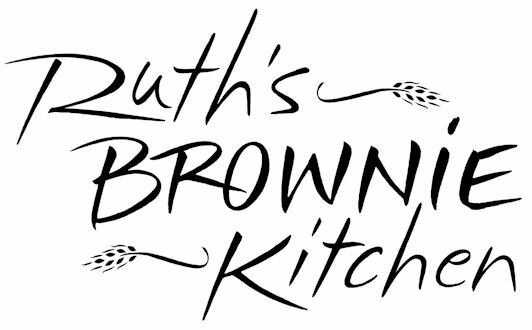 Ruth's Brownie Kitchen's banners and text links maintain the high quality of your website. We are partners with Shareasale.com, a highly-regarded Affiliate network, which is FREE to join. You will get complete tools to make our partnership successful once you sign up.! Provide your site’s visitors with a link to our mouth-watering, made-to-order gourmet Brownies, Cookies and Biscotti… and at the same time generate additional revenues from your website.